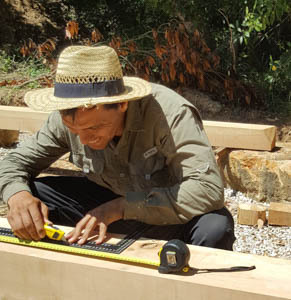 During our volunteering stint in Portugal this year, we have seen many different types of structures and buildings that have been built with natural materials and using various techniques. One technique that has interested me is timber framing. This traditional technique requires skilled builders that use green timber from local fallen trees with no nails, screws or cement.